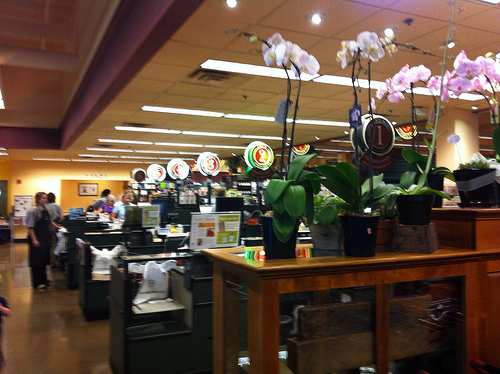 Metropolitan Market (Metro Market) at 2420 N Proctor Street,Tacoma, WA 98406 is Tacoma’s most upscale grocery store. 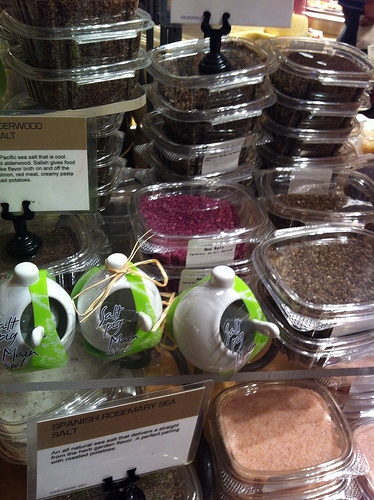 It is full sized store, but has many specialty items like a fine selection of salts, wonderful cheese and a great deli. I picked up a salad for lunch tomorrow, a birch beer and some Gelato which they serve right there. The employes are helpful and the check out line moved quickly. The building began life in 1966 as the Lucky Stores Grocery and in 1995 it became Queen Anne Thriftway. In 2003 the name changed to Metropolitan Market. There are five other locations, three in Seattle and one in Kirkland. This entry was posted in Stores and other places that sell you things, Tacoma, Unique Shopping (stores with some personality), WA State - Pierce County and tagged cheese, deli, food, food store, grocery, Lucky Stores Grocery, Metro Market, Metropolitian Market, Proctor, Queen Anne Thriftway, salt, Tacoma on September 6, 2012 by admin. Because independent grocery stores compete with large corporations such as Wal-Mart and Kroger, they must market to their local communities, said Craig Cole , president and chief executive officer of Brown & Cole Stores , which was once part of the Thriftway group.